I spent a good portion of my five hour drive home from DC thinking of ways to recap such an epic weekend. How to condense it, make it readable and fun, but not to lose any of the story. I’m also sleep deprived and very ready for #allthesleep. Those factors combined, I’ve decided to split my review and recap of the 41st Marine Corps Marathon into two separate posts. This post will be a marathon review of the race itself, and tomorrow I’ll recap my own race experience. This was the first year the expo was at the Gaylord National Convention Center. The hotel/convention center itself was beautiful. I had never been to National Harbor before and although it was quite a hike from where I was staying in Columbia Heights, it was quite beautiful. Packet pick-up was amazing. Right away runners were greeted by marines before entering the expo. The marines know how to make a runner feel special — it was fantastic. Maneuvering packet pick-up was easy. We walked right up to pick up our bibs, patches, and the race guide. Picking up our shirts was also easy as pie — and though I’ve heard complaints about the shirts in years past, I love my MCM race shirt. It’s one of my favorite colors (green!) and it fits well. Hopefully I’ll wear it lots this winter! I pre-shopped for my MCM gear before the expo. I didn’t buy anything but my friend did and we were in and out fairly quickly. There were tons of vendors and they were spread out well enough that you didn’t miss any. There were also lots of photo opportunities throughout the expo, which was nice because you know — if there’s no picture, it didn’t happen! After hearing the horror stories from last year about security and the lines, I was pleasantly surprised at how quickly and efficiently we moved through security. When we approached, marines directed us to lines for “bags” or “no bags.” Luckily no one in my party was checking a bag so we got in line, the marines and police officers checked our water bottles, we were wanded, and then we continued on our walk to the starting line. Quick and efficient. It was surprisingly calm at the starting line. It was one of the more chilled out starting atmospheres I’ve experienced in a long time and I really liked it. Everyone was really laid back. There was party music pumping through huge speakers. The announcer was keeping the crowd upbeat and energetic. It was a fantastic way to spend an hour before the actual race began. Even the National Anthem was top notch. I’m not sure who performed but it was a group of women with the most incredible voices. Plus I actually heard the howitzer which I wasn’t expecting at all! The crowd support was fantastic. Having said that, I realize why I don’t like big races. On the one hand, crowds make the miles fly by. But on the other hand, it gets very loud and congested and when you’re having a rough few miles and need to zone out and refocus, it’s incredibly hard to do so. There were many times on the course that I would think we were out of the crowds and wanted to refocus my efforts. I would turn on tunes or a podcast only to be interrupted a few steps later by yelling, cheering, cowbells, and all sorts of craziness. I’m definitely a small race kind of gal. There was a new course this year for MCM. I thought overall the course was great. My only complaints are that there were a lot of out-and-backs (and they were loooooong out-and-backs), and sometimes in those sections the streets became very narrow. Most of the run/walkers near me were courteous enough to raise a hand and move over to the right when they would begin walking, but as it got later into the race fewer people were doing so. It was very clogged and congested in some areas since the streets weren’t very wide. Other than that I loved the course. There was something for everyone: city running, running through the park, and running by the monuments on the National Mall, and finally around the Pentagon. There was on-course entertainment every couple of miles so if your mind started wandering (in a bad way), it was easy to stay positive — this is when a big race wins over a small race. I had heard the Blue Mile was going to be tough. When I first realized I was coming up to the Blue Mile, I quickly ditched the tunes. I wanted to focus on the faces and names on as many signs as I could. I held it together pretty well until the last few photos. Then I saw a woman crouching by her person sobbing and I almost completely lost it. It was a very emotional mile. It was nicely juxtaposed by the Blue Mile volunteers immediately after. They were lining the course on both sides with American flags cheering us on. It was incredibly touching and it both humbled me and made me feel so proud to be part of MCM. The post race party was good. I didn’t get to relish in my accomplishment as much as I would have liked, but that’s on me not them. The Marine Corps Marathon did a fantastic job with food, beverages, music, and entertainment. If you have the desire or opportunity to run the Marine Corps Marathon, I highly recommend it. Everything was top notch from start to finish. It was an incredible experience that I won’t soon forget, nor do I want to. I had the time of my life. I have so much more to tell. But honestly I’m just so pooped I need to sleep. I can’t wait to tell you all about my race specifically. It wasn’t the race I was hoping to run and at times I felt I failed miserably, but other times I was elated and had such a blast. I can’t wait to tell you all about it. Have you ever run with the marines? Linking up with My No-Guilt Life, Marcia’s Healthy Slice, and MCM Mama Runs for Tuesdays on the Run, and HoHo Runs and MissSippi Piddlin’ for the Weekly Wrap. 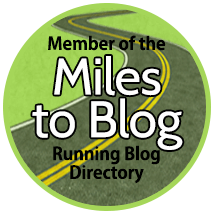 Also linking up with Nicole, Annmarie, Jen, and Michelle for Wild Workout Wednesday, and myself, Susie, Debbie, and Lora Marie for the Running Coaches’ Corner linkup. Great review! MCM is the best! It was wonderful meeting you at the expo! Yes! I’m so glad you found me, that was amazing! Let’s run together soon. Stay in touch! I did not know they’d changed the course. It doesn’t sound like the changes were good with all those out and backs. I ran this one in 2012 and it remains among my favorites. Hurricane Sandy was bearing down when I ran and we evacuated literally as soon as I crossed the finish line so I did not enjoy the after party either. Ha! It’s a good story though. Can’t wait to hear more! Oh my gosh! Yikes!! Good thing you got out of there. Since I didn’t know any different from previous courses, I thought this was fine. The only issue with the out-and-backs was how crowded those areas were. But otherwise it was great! See, now I’m thinking that ^^if^^ I decide to tackle a marathon next year, it should be this one. I can’t wait to hear your report. I have heard complaints about the course. They had to change it because of concerns over the lack of Metro to get to people to the start, which led to the decision to have a longer start window, but they still needed to re-open the bridge at the same time, so they adjusted the course to have more after the bridge. Anyhoo, sounds like you had a great experience. Yes that’s exactly why they changed the course. I have nothing to compare it to but I thought it was great. I would definitely consider it for your first marathon. Really amazing atmosphere, and everyone is just so darn happy to be out there. It was an experience I will never forget and I hope to do it again in 2017! I’ve been anxiously watching for your recap! I am definitely interested in this race, especially if it’s so chill. I am leery of to many people in my races, how did you think it was with so many people? Did you find it hard to get out there? There were definitely a lot of people. I think if it weren’t for all the out-and-backs it wouldn’t have been so crowded. The areas where we were all running the same direction were fine and there was ample space. It was a fantastic experience. I highly recommend it. MCM looks like an amazing experience! I didn’t realize they changed the course this year, but having so many out-and-back’s would probably drive me nuts, lol. I do love a good crowd, but not when they take up space on the course, which I’ve seen happen at the Philly marathon. Looking forward to the full recap! The crowd didn’t take up space, it was the narrow streets that were the problem. During the out and backs it got very crowded. Otherwise a fantastic race! That’s great to hear that security went smoothly this year! I was wondering how the expo was at the Gaylord since this was the first year they had it out there. Sounds like that went really smoothly as well. I did the 10k last year and really loved the experience. It was amazing. I looked for you but I forgot where you said to look. Whomp whomp! lol… not a problem. I’m sure it was an overwhelming experience! It was hard to find people, especially mid-pack, when there were so many people running by at once. I do want to do the 10k at some point, and do wonder if the Blue Mile is included in the 10k course. I don’t think I’d be able to keep it together in that mile. I don’t think it does. I think the 10K course is the same for only a few miles. I’m definitely a small race (or medium) kind of girl too! This looks so awesome though and I love the medal. Congratulations- you did it!! Thank you so much. Even though I’m a small race person, I would do MCM again in a heartbeat. I highly recommend it! Congrats on the race! I wonder how much they changed the course up this year. When I ran it a few years ago, it was a little congested at times, but not enough where I couldn’t find a good pace and get into. I love the big races because the time really does fly with all the spectators. I’m not really sure how much it changed. They changed it because the Metro didn’t open early this year from all the work they’ve been doing. But security was easy as pie and nothing was ever overwhelming or intimidating like I had worried it might be. It was a great experience! Congrats congrats! I adored this marathon when I ran it–it was a great first marathon for me. The congestion worked in my favor–it held me back! But if I was going for a PR, it wouldn’t be my first choice. But the experience? One to behold. If I were to run another marathon, it would be MCM! I love DC! I heard it was a hot one this year. Congrats on your race! Thanks so much for this detailed review of the race itself…. it definitely sounds like it was well-organized for an event this size (which I think is hugely important for a good experience!). Thank you! Recap is coming tomorrow. It was really well done, organized, and everyone was so nice and helpful. A phenomenal experience all around! Great review…I might try it one day! Can’t wait to hear how it went for you! CONGRATULATIONS. I agree with you about the large crowds. Chicago had something like 1.2 million spectators. Yes, there was great energy–but it was deafening in places! I know I would have cried buckets during the blue mile. What a memory! I think I still prefer scenery over crowd support. Give me a race in the middle of the woods and I’m happy! Thanks for linking, Rachel!